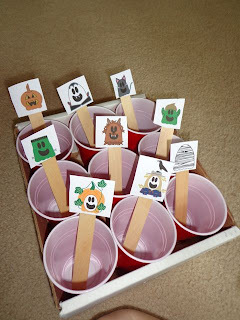 Three Ghost Friends Halloween Sort can be used as a toddler busy bag, shoe box task activity, work basket, preschool center activity, or a tot school activity. 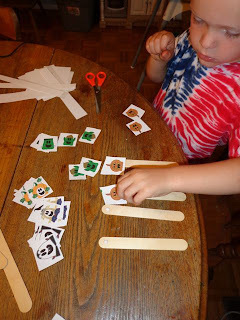 First, download and print the activity sheets on card stock paper. 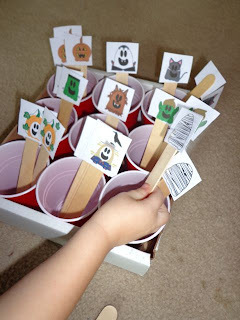 Then, cut out each character. I had my son cut out the characters while I constructed the sorting box. 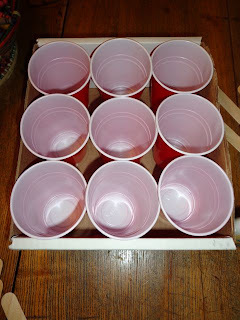 I placed masking tape under each cup to hold them in the box. 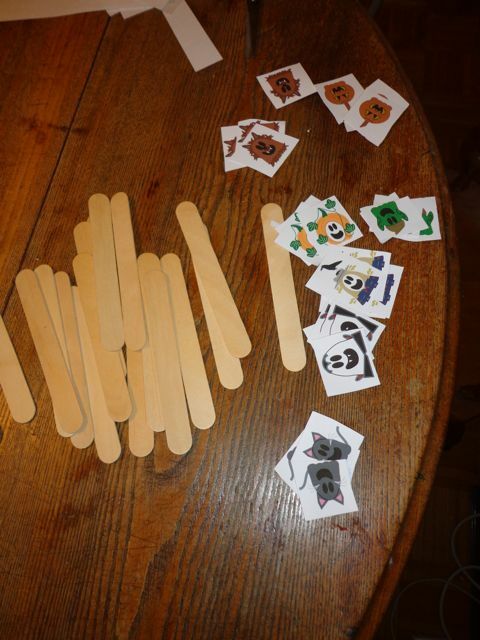 I dabbed glue on the end of each tongue depressor and my son placed on the characters. I placed one character -- a mummy, a pumpkin, a goblin, etc. 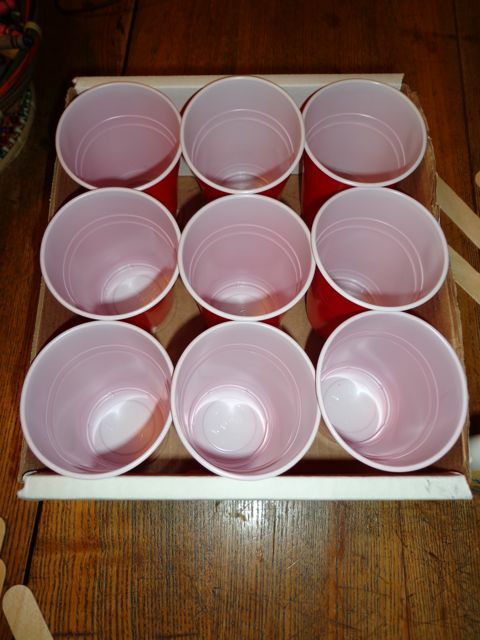 -- in each cup. I told my two-year-old son to sort the rest of the characters into each cup. 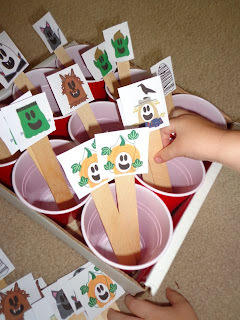 This would be a great preschool or day care center activity for the month of October! 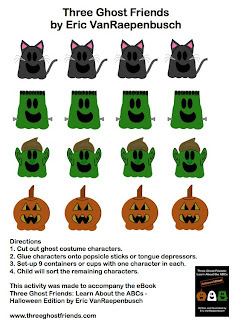 This activity was designed to accompany Three Ghost Friends: Learn About the ABCs - Halloween Edition, an eBook available at the Apple iBookstore using the iBooks App. 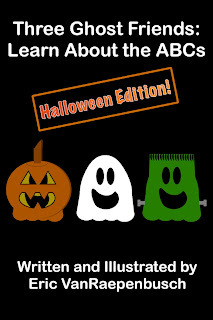 Have fun with Halloween ABCs on the iPad and iPhone -- Only 99 cents! 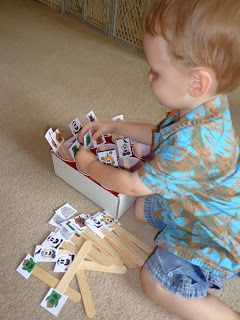 This post will be shared on Living Montessori Now's Montessori Monday.